Fast acting control of a wide range of insect pests. For use on fruit, vegetables, roses and ornamentals. Concentrate dilution rate - Mix 5 ml per 5 L of clean water. 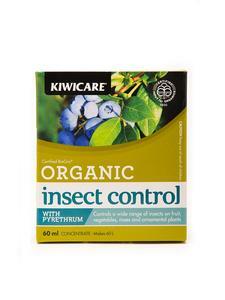 Apply spray every 7 - 14 days from when insects start to appear or as required. Apply to leaves on both the upper and lower surfaces, but avoid over wetting. Best applied in the morning and evening.